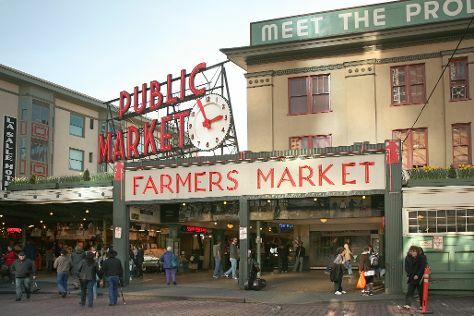 Give yourself a bit of retail therapy at Pike Place Market and Chihuly Garden and Glass. Kids will appreciate attractions like Hiram M. Chittenden Locks and Alki Beach. You'll find plenty of places to visit near Seattle: Olympic National Park (Murhut Falls & Mount Ellinor) and Tacoma (Point Defiance Zoo & Aquarium, 5 Mile Drive & Trails, & more). Dedicate the 24th (Fri) to wine at some of the top wineries in the area. The adventure continues: enjoy breathtaking views from Space Needle, view the masterpieces at Glasshouse Studio, explore the wide array of goods at Nordstrom, and pause for some photo ops at Fremont Troll. To see more things to do, reviews, photos, and other tourist information, refer to the Seattle route planner . If you are flying in from Philippines, the closest major airports are Seattle Tacoma International Airport and Boeing Field King County International Airport. In May, plan for daily highs up to 23°C, and evening lows to 13°C. Cap off your sightseeing on the 25th (Sat) early enough to travel back home.